The official strategy guide for Destiny 2 has revealed all of the exotic armour for the Titan. 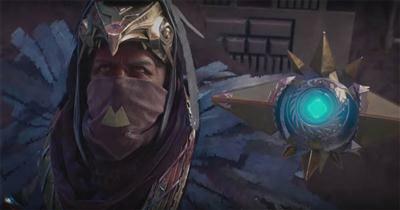 These exotics include Mask of the Quiet One, Doom Fang Pauldron, Synthocepts, Actium War Rig and several others. These exotic items are unique to the Titan class and are earned through the games hardest activities or luckiest RNG drops. 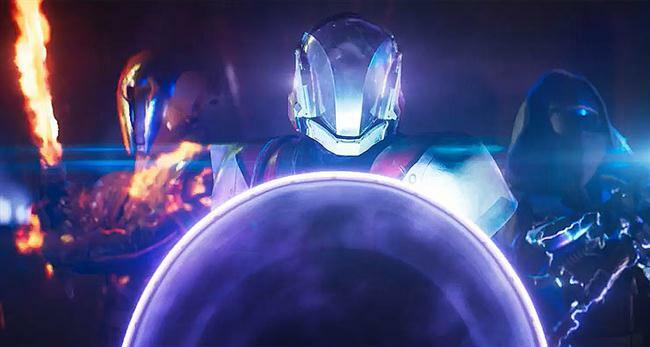 Some familiar exotic names are returning from Destiny 1 including Crest of Alpha Lupi and ACD/0 Feedback Fence, whilst new exotics have been introduced to aid the new Titan classes, namely Hallowfire Heart that aids the Solar Titan class and Doom Fang Pauldron that first perfectly with the Sentinel Titan and it's new shield abilities. The Titan extotics look good so far and I'm particularly excited to try out the Intrinsic Perks: Survival Well, Biotic Enhancements and Linear Actuators. Players should note that these exotics were discovered through the official guide for Destiny 2, which as we all know is written months before the games official launch. Some names and perks may be subject to minor changes leading up launch but on the whole they should remain the same. Kills with Arc Melee abilities will trigger health regeneration and restore melee energy. Offers both bonus ability energy when damaged, and also health regeneration when inflicting Void damage. Improves the recharge rate of your Sol abilities while Hammer of Sol is charged. Gradually reloads your auto rifle magazine from your reserves. Generates additional Orbs of Light from Super, and activates a healing pulse when Barricade is activated. Shield bash melee kills recharge Shield Throw. Melee ability kills recharge Sentinel Shield Super. Increased melee lunge range and increased damage when surrounded. Sprint speed is increased considerably and whilst running your Titan will build up a static charge. Upon melee attacking an enemy this charge will chain damage nearby enemies.